CL 301 Communicative Lakota for Intermediate Level – I Course description This is the first course of a three course continuum and is designed for second language learners of Lakota at the intermediate level. The course will continue to develop the students’ oral communication proficiency through highly interactive teaching activities and increase learners vocabulary, grammar awareness and idiomatic knowledge building onto the material covered in the previous Communicative Lakota courses. Course textbooks New Lakota Dictionary. Lakota Language Consortium, Bloomington, 2011. CL 302 Communicative Lakota for Intermediate Level – II Course description This is the second course of a three course continuum and is designed for second language learners of Lakota at the intermediate level. The course will continue to develop the students’ oral communication proficiency through highly interactive teaching activities and increase learners vocabulary, grammar awareness and idiomatic knowledge building onto the material covered in the previous Communicative Lakota courses. Course textbooks New Lakota Dictionary. 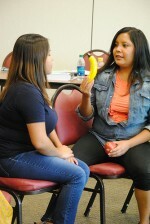 Lakota Language Consortium, Bloomington, 2011. CL 303 Communicative Lakota for Intermediate Level – III Course description This is the third course of a three course continuum and is designed for second language learners of Lakota at the intermediate level. 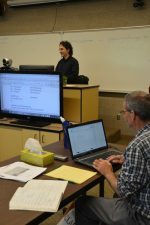 The course will continue to develop the students’ oral communication proficiency through highly interactive teaching activities and increase learners vocabulary, grammar awareness and idiomatic knowledge building onto the material covered in the previous Communicative Lakota courses. Course textbooks New Lakota Dictionary. Lakota Language Consortium, Bloomington, 2011. LG 103 Lakota Sentence Structure I Course description This course provides an introduction to Lakota sentence structure at a beginner level. This course will benefit both second language learners and those native speakers who are current or prospective Lakota language teachers. Course textbooks New Lakota Dictionary. Lakota Language Consortium, Bloomington, 2011. Lakota Grammar Handbook. 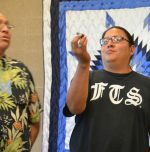 Jan Ullrich, with Ben Black Bear, Lakota Language Consortium, Bloomington, 2016. LM 101 Lakota Language Teaching Methods Course description This course is the first of a three course continuum and introduces the best practices in communicative language teaching methodology adapted for effective teaching of the Lakota language. 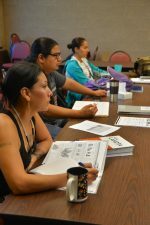 The course is designed for current or prospective Lakota language teachers. Course textbooks Lakȟótiya Wóglaka Po, Speak Lakota, Level 1. Lakota Language Consortium, Bloomington. Lakȟótiya Wóglaka Po, Speak Lakota, Level 2. Lakota Language Consortium, Bloomington. Lakota Grammar Handbook.